What’s So Great About the new 2018 GMC Terrain? What’s New with the Latest 2018 Buick SUVs? Tax Season is Upon Us – Treat Yourself to Your Next Ride with Your Refund! The New GMC Canyon is a Midsize Pickup Truck with Massive Appeal! 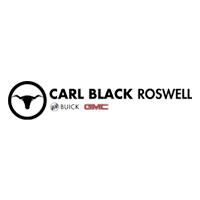 Carl Black has the Quality Buick & GMC Parts That You’re Looking For in Roswell! 2018 Buick SUVs Offer Luxury, Comfortability & Practicality that Drivers Love! Take Advantage of 2017 Year-End Clearance Offers at Carl Black Buick GMC of Roswell! The Rugged & Refined 2018 GMC Sierra 1500 Truck is Available here in Roswell! There is a Buick That Will Exceed Your Expectations here in Roswell! Which GMC Trucks are Diesel? Phenomenal "Spring Break Sale" for 2017 GMC and Buick Vehicles in Roswell, GA!